After clicking "New ZPUino SOC project" I get a new editor, but "Save as..." is disabled, and I cannot edit the sketch. When I click "Edit circuit", it tells me that there are readonly files, and then can I save the project to a new location. But after that it is still not possible to edit the sketch, What am I doing wrong. And also a general question: What is the correct way to upgrade from one DesignLab version to the next one? If I open an existing project and do "Edit Circuit", I get lots of messages about duplicate references, because there are still references to the old DesignLab directory. You will want to just delete the old DesignLab directory or use the uninstaller. Either way you want to remove it from your computer and that will clear up any error messages. Also, for the trouble editing circuits, you have Xilinx ISE installed right? You might need to open it up first and run the license manager. thanks, the messages about the duplicate references are gone after uninstalling the old instance of DesignLab. But maybe I didn't make my other problem clear: Xilinx ISE was and is installed, and it opens fine from within DesignLab 1.7. 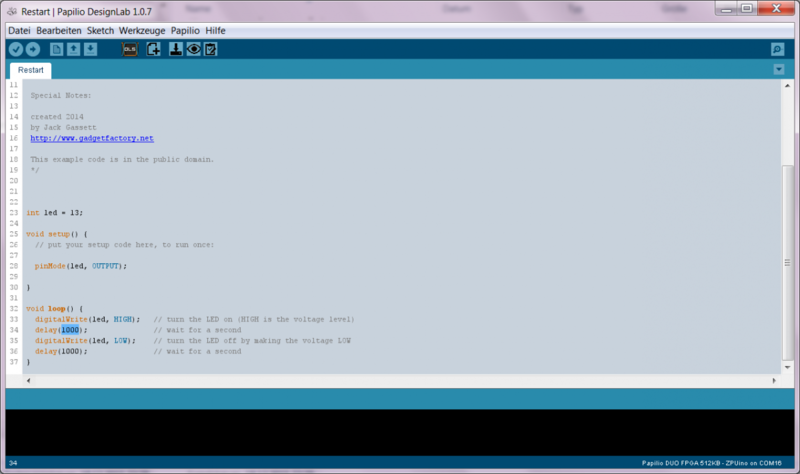 What does not work is editing the C code of the sketch itself in the DesignLab Arduino IDE (see attached screen shot). The editor window is readonly, and it doesn't allow me to edit the code. What does not work is editing the C code of the sketch itself in the DesignLab Arduino IDE (see attached screen shot). The editor window is readonly, and it doesn't allow me to edit the code. I tried with different projects now, and DesignLab 1.0.7 does not let me edit any C source of any of my projects. Phew, this one had me stumped!